Last year Indonesia’s forestry minister signed a decree to change the extent and function of the area officially classified as forest in Papua province. 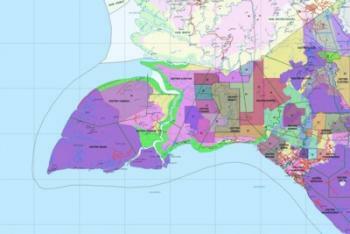 The move will see changes to more than six million hectares, including areas targeted by agribusinesses in the Merauke Integrated Food and Energy Estate (MIFEE) development zone in the southern part of Papua. Indigenous communities living along the Bian and Maro Rivers in Merauke, southern Papua, have demanded the return of their customary lands taken for the Merauke Integrated Food and Energy Estate (MIFEE) mega-project. A set of demands issued after four days of community discussions in December also called for the revoking of location permits covering their customary land and for the companies involved to restore the damage done and pay compensation to affected communities.